Introducing a new generation cell culture analyzer that combines the revolutionary micro-electronics of the consumer world with Nova Biomedical’s innovative MicroSensor Card™ technology for a smaller, faster, less expensive analyzer. 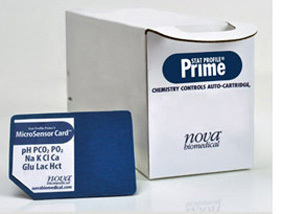 Stat Profile Prime uses Nova’s proven biosensor technology in a miniaturized, sensor card format. MicroSensor cards can be replaced, warmed, calibrated, and ready to run the analyzer’s full sample throughput in less than half the time it takes other cartridge systems. Unique probe and flow path protects the analyzer from the flow path blockages. All sensors are contained in one MicroSensor Card. Snap-in cartridges are easy to replace and avoid prolonged calibrations common to older cartridge based systems. Onboard quality control (QC) cartridges perform QC automatically, saving time and labor. Nova’s MicroSensor cards, calibration cartridges, and QC cartridges offer a maintenance-free solution to cell culture monitoring. Stat Profile Prime combines both automated, true liquid QC and continuous electronic self-monitoring to ensure lab accuracy and uncompromised quality. Stat Profile Prime provides a supplement to liquid QC: SQM continuously monitors the status and performance of all analytical components (including sensors, reagents, calibrations, sample integrity, software, and electronics), providing real-time, sample-to-sample assurance of correct performance. 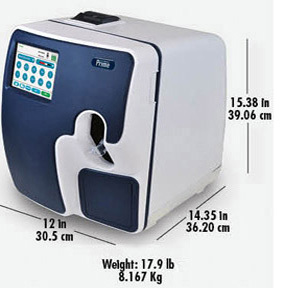 One of the smallest and lightest cell culture analyzers, Stat Profile Prime is so compact that it can be located anywhere in the facility or operated on a mobile cart with battery back-up. 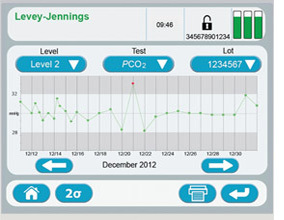 Stat Profile Prime is always ready to deliver a 9-test profile in just 60 seconds. Calibration and QC are performed automatically to maintain constant readiness. Stat Profile Prime cartridges add a significant benefit in analyzer uptime. Each cartridge is ready to use and easily replaced in seconds, compared to the hour or more needed for older cartridge systems. 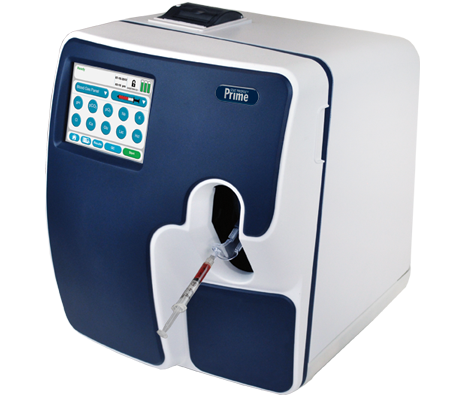 Stat Profile Prime eliminates the sample-to-sample delay common to older cartridge systems. In settings where back to back sampling is common, Stat Profile Prime can analyze 4 samples in only 5 minutes. Other analyzers require up to 18 minutes to provide the same results.